Supplementary material reads: "American Legion Convention, San Diego. 1951-09-11. 2 negs. 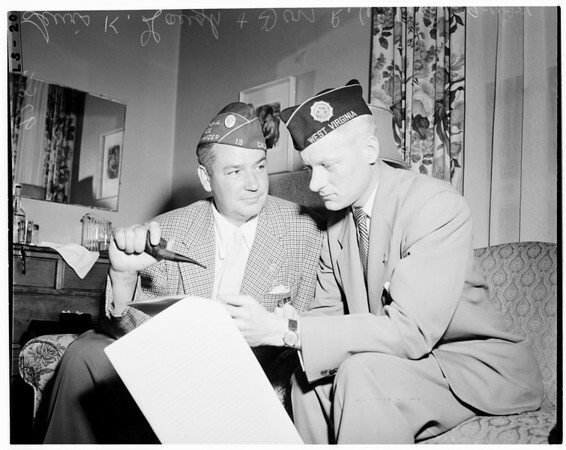 -- Caption: (L to R) Lewis K. Gough, centender for 1952-53 Nat'l. Cdr. post, confers with Don R. Wilson, designated new Nat'l. Cdr. for coming year".